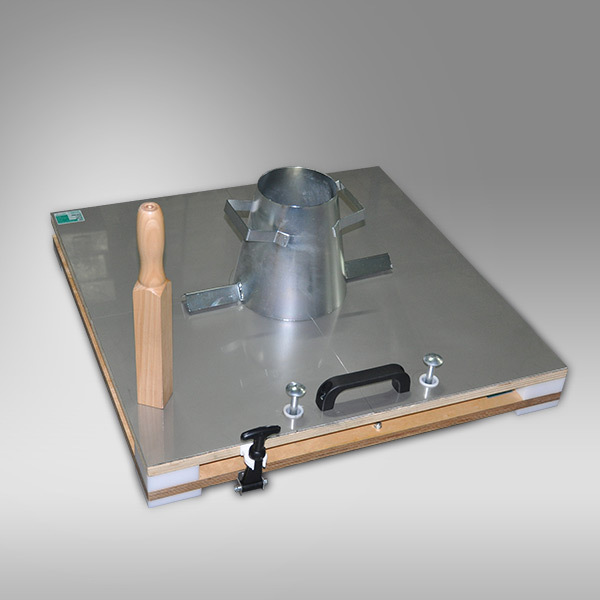 The test set is used for concrete mixes of high workability and determines flow index as an arithmetic mean of the diameter of the specimen after working on a flow table. 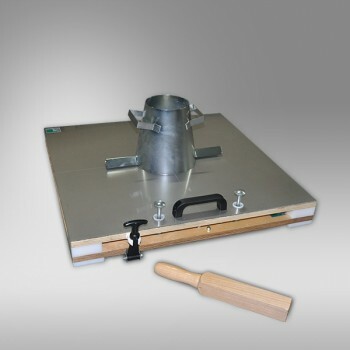 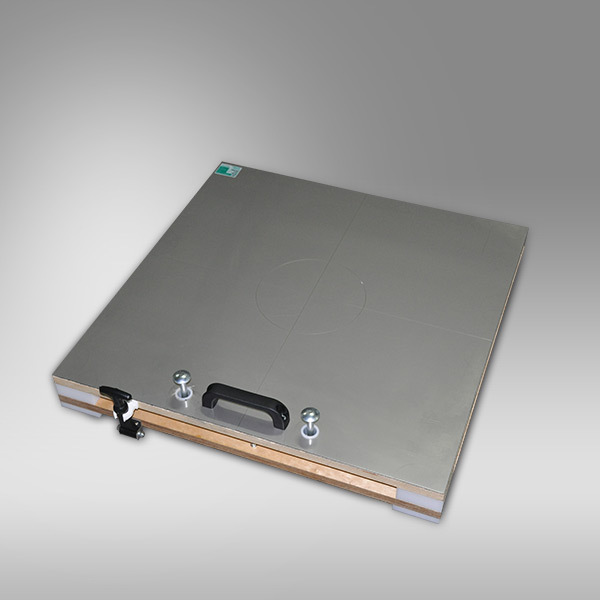 The apparatus consists of a double wooden table, an upper stainless steel measuring plate 700x700 mm and hinged at one side to the lower table. 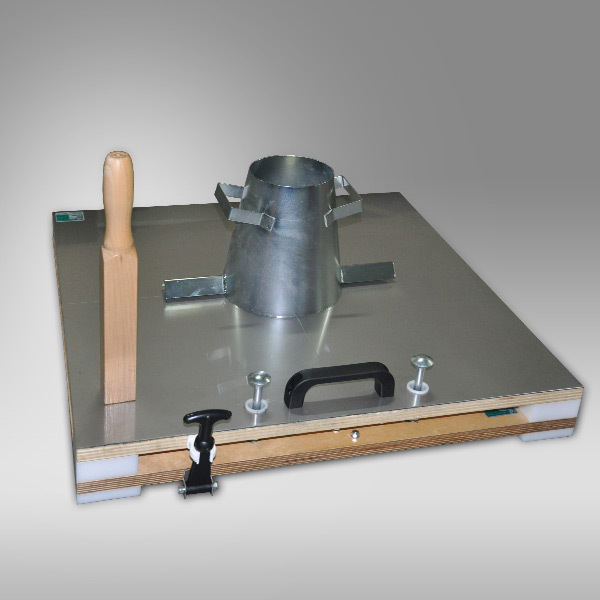 The top table is inscribed and all parts are protected against corrosion. 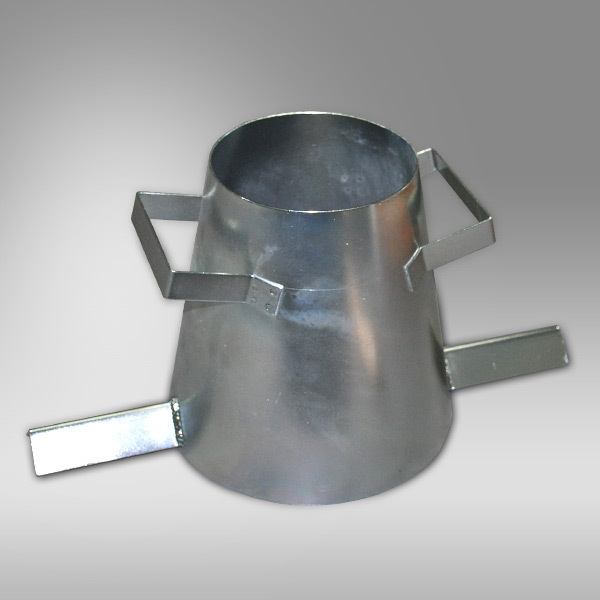 The stainless steel cone has a 130 ±2 mm top diameter, 200 ±2 mm base diameter and 200 ±2 mm height and 1.5 mm thickness. 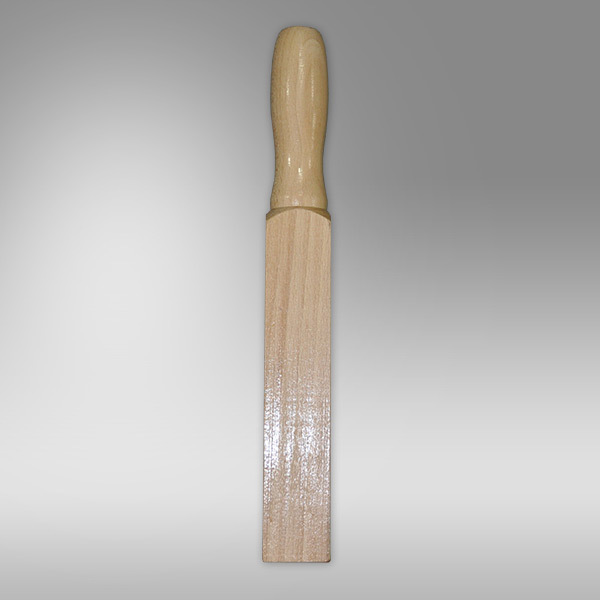 Supplied complete with wooden tamper.